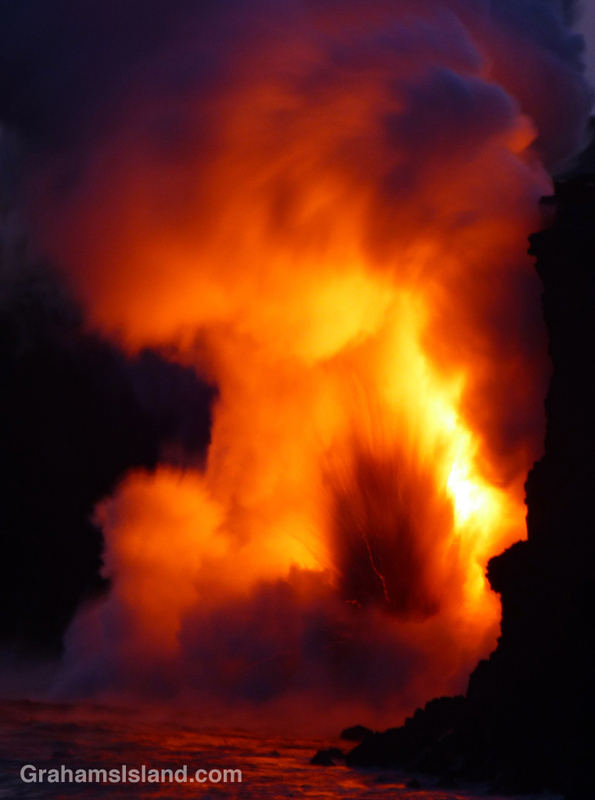 One last photo from my trip to see the firehose of lava from Kilauea Volcano gushing into the sea. I tried a few longer exposures and I particularly like the effect of this one. More lava photos here.